Designers must not be hostage to missing reference data, a lack of element configurations, or be forced to purchase databases. 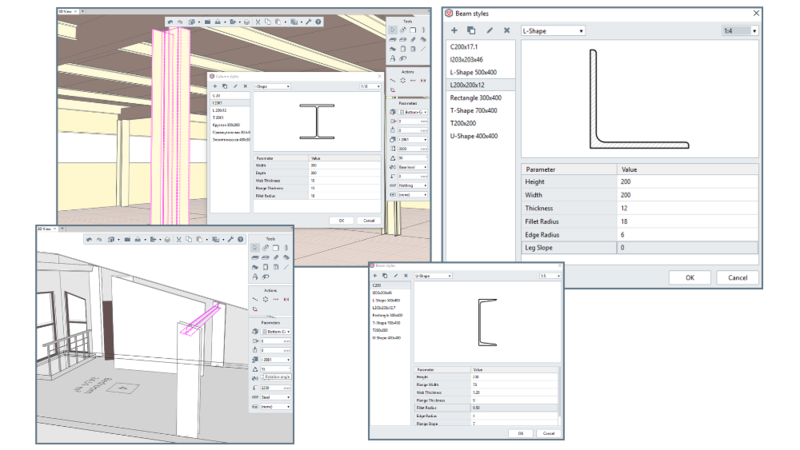 To provide independence from missing specifications, Renga Structure provides a mini-CAD style editor for designing elements from scratch. The editor creates new prototypes of any kind of new element for use by 3D models. As an alternative to catalogs and reference books, Renga Structure’s element styles offer fast modification, which are transferred easily to other projects and shared with fellow designers.